Plus advertising from vendors with amazing products for your Toyota 4WD vehicle—products that you probably need right now! Get a personal subscription by joining TLCA today! Need Assistance With Your Membership? Click here to email member services for help. We do our best to respond within one business day and usually get back to you the same day. TLCA Chapters host events each year for Toyota 4x4 enthusiasts from all over the world. Come and join us at one of our many events this year! Many TLCA chapters also organize trail runs and meetings. If you are not affiliated with a chapter, this is a great opportunity to meet some local Cruiserheads, see their rigs, and exchange stories. 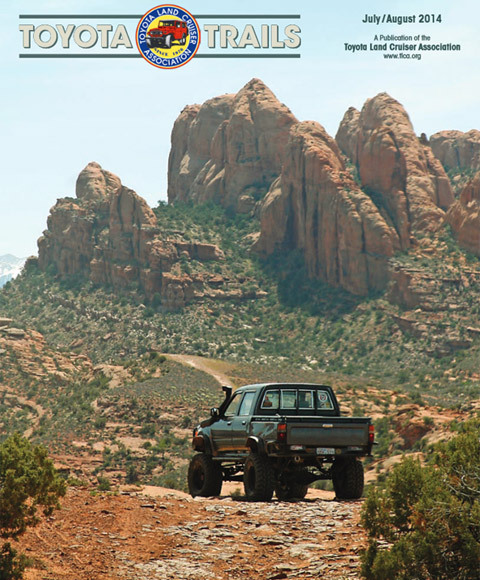 All memberships include a subscription to the world's best all-Toyota 4x4 magazine, Toyota Trails, a TLCA sticker, discounts from many of our business members and more! If you are interested in joining for the first time click here for more information. If you are renewing your membership click here to login to your account and renew. © 2019 TLCA. All Rights Reserved.